Looking for a Gas Masks that Feels and Looks Real to Top Off Your Halloween Costume? This High Quality Rubber Gas Mask Has Adjustable Straps to Fit Most Faces and is Easy to Breath In and Out. 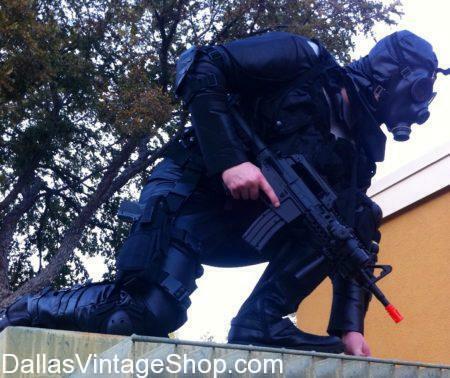 Perfect Finishing Touches for Your Call of Duty, Modern Warfare, Halloween, Post Apocalyptic, or Even a Scary Costume!